The Forget Me Not collection by Dovecraft is a gardener’s delight. Delicate hand drawn florals and gardening tools by talented artist Siobhan Harrison capture the traditional English summertime. 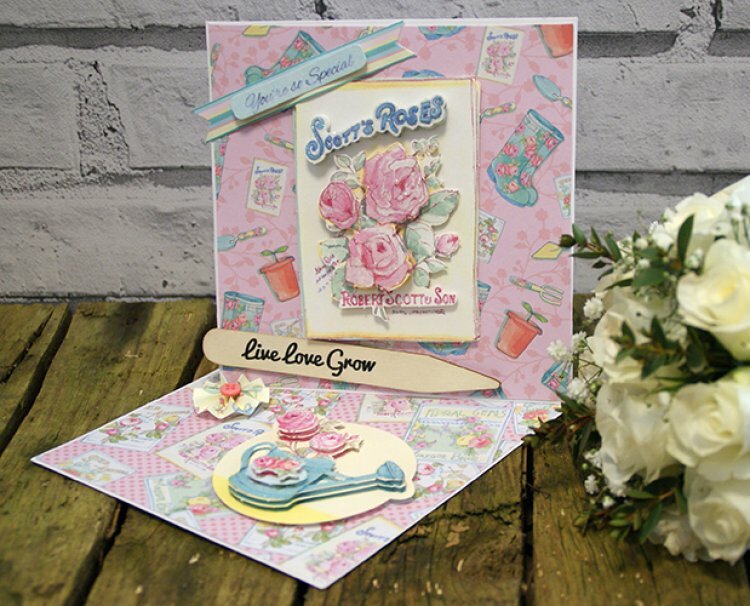 The pretty colour palette makes this a truly charming papercraft range and the gorgeous Decoupage is a key highlight of the latest Dovecraft collection. With plenty of new embellishments in the collection including wooden sentiment sticks, seed pockets, raffia & chalkboard shapes; your imaginative will be delighted with all the project possibilities. The Forget Me Not collection will be arriving in shops early June and we can’t wait to see what you create with this fab craft collection.